I was reflecting over the last few years of Orange Thread the other day trying to account for our biggest successes and failures, to see how I could learn from them. (By the way, if you’ve never done this, I’d highly recommend the process) And I recollected a pretty massive failure that still haunts me to this day. It’s caused me to come up with a few things on how to avoid failure. This church had told us that they wanted to do environmental projection for the first time in their building as they were no longer going to be hosting their annual Christmas program at the city’s basketball arena. A big turn for their event, and we knew we had to make a big splash. When we arrived, we showed up with half the projection we needed. I’m not talking about the mere number of units, but the brightness didn’t even look good during their speaker look (which had very little lighting). Now let me back up and share a bit more about our preparation. I’ve projected in 40 or more different churches across the globe in my life with environmental projection and I’ve never had this problem happen. We went about our prep in the same way we always do, we did a skype or FaceTime call to capture vision, asked for very specific measurements, talked a bit about the content needs and desires, and then ultimately landed on stock media from TripleWideMedia.com. For this church (which is unusual for most due to costs) we even did an in-person site visit. I had been in the room before, and had plenty of time to ask questions and make sure we brought the right equipment. Alas, we didn’t. That day I learned a really important lesson. Just because you’ve been through a planning process 1000 times, doesn’t mean you get to skip important details & questions. Just because you’ve been through a planning process 1000 times, doesn’t mean you get to skip important details & questions. Great Leaders Ask Great Questions. I knew this leadership principle, as Andy Stanley said it’s one of the surefire ways to avoid failure in the future. But we didn’t. It may have been the surprise site visit, the familiarity with their worship leader or just the “ego” that got in the way… regardless we should have asked more questions. Don’t take any details you can’t control for granite. Regardless what the event or project is, the only way you know all the details is if you’re managing and providing every element. So when an outside group comes in to participate in some way, make sure you are fully aware of every aspect of what they’re providing. In this case, the church brought in a new lighting company to virtually replace every lighting fixture in the room the week of the event. I’ve never seen this much lighting for a church production. But I also hadn’t worked with this church before, and I took that for granted. Don’t cut corners, a process is a process for a reason. Too often we get comfortable and choose to avoid the questions that we never have to deal with in production. When I was doing my first few environmental projection events, I wouldn’t even think to pass up the opportunity to find out what ambient light was in the room. However on my 1000th, I dealt with it so few and far between that I made an assumption that hurt us. Don’t back yourself into a corner, know the path to a surefire solution. Lastly, one of the things I did when I was trying to solve the problem was back myself into a corner in an attempt to avoid revealing a friends name who we got some projection lenses from. Once we knew we didn’t have enough projection brightness, our equipment was in Nashville and we weren’t in Nashville. Backing myself into this corner made it extremely difficult to get the equipment we needed and we had to work too hard to get it to the church. Always have a backup, a plan to correct and a course that’s not overbearing to get to that solution. Regardless make sure to learn from your mistakes so you can avoid failure in the future. If we don’t, there’s no way to avoid failure, because we’ll be insane to try the same thing expecting a different result. Failure doesn’t kills success. Unwilling to learn from failure kills success. In the end, we lost the client, probably not for the reasons I think, but our failure hurt and we’re not going to allow this to hinder success in the future! p.s. 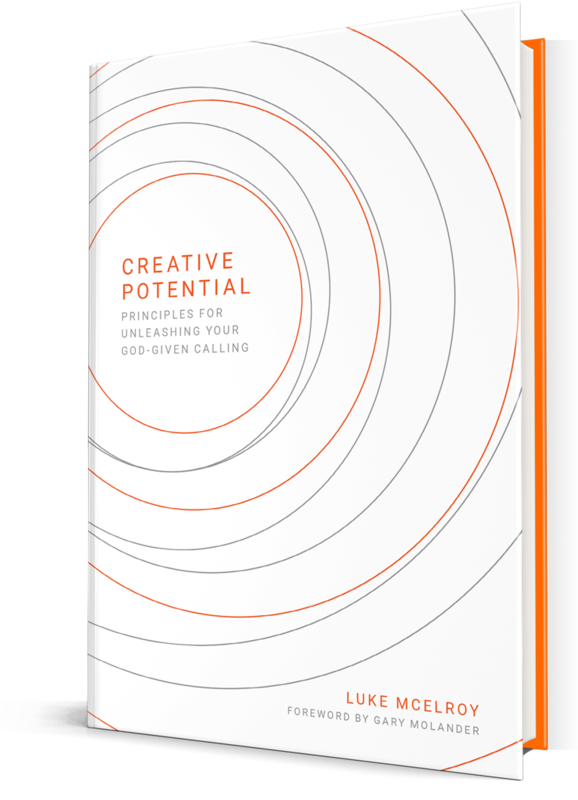 Failure is something I discuss in my latest book Creative Potential. I’d encourage you to check it out by clicking here.